Hey! Thanks for viewing our page! 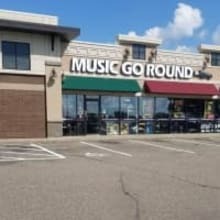 Music go round is a music store that primarily sells used gear. We buy gear, too! We have band instruments--things like saxophones, clarinets, trumpets, and trombones--and strings like violins, ukeleles, guitars, basses, and much more! We sell microphones, speakers, and mixers as well! And let's not forget drums! We're a Ddrum dealer, and it would be our pleasure to keep drummers drumming! We offer repairs of woodwinds, brass, string, and most electronics. We have trained professionals in shop that can answer any questions you may have on how your instrument feels, plays, and works. Every employee here is a musician, and we understand how it can be when you're looking for something new. We're here to help you 7-days a week! Give us a call if you ever have any questions, and one of our friendly team members will gladly give you their full attention on any questions about pricing, trades, shipping cost, or condition of our inventory. 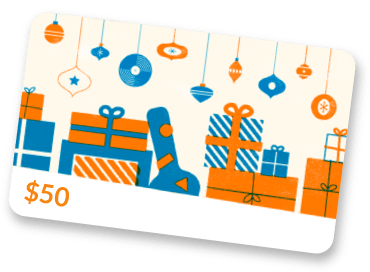 Never bought an instrument online before? Well have no fear! Every item shipped out of Music Go Round in Woodbury gets tested and includes all the accessories! Thanks for checkin' us out, and we hope to be your favorite music store!